www.FunctionalMedicine.org This is the site for the Institute for Functional Medicine. It explains what functional medicine is all about and contains a searchable database of providers. www.AIHM.org The Academy of Integrative Health and Medicine is an organization of providers, patients and interested parties who are focused on changing the way we do medicine. They also host a searchable database of providers. www.herbalgram.org The American Botanical Council is a nonprofit group seeking to advance education and reliable information about herbs and their use. Great book section, and herbal library. www.herbs.org The Herb Research Foundation. Another great site for honest herbal information. www.herbaltherapeutics.net One of the sites for Dr Warner’s teacher, David Winston. David is an amazing herbalist and on this site, there are many articles and resources that he shares freely. Adaptogens by David Winston and Steven Maimes. This is a good resource book regarding just adaptogens and what they really are (and what herbs really AREN’T adaptogens). Herbal Remedies for Women by Amanda McQuade Crawford. An older book, but the information is still relevant. McQuade Crawford is clear and simple in her explanations. Written for the public. The Modern Herbal Dispensatory by Thomas Easley and Steven Horne. This book shows how to make your own herbal medicine, and has a lengthy section describing individual herbs and their properties. Written for the public/new herbalists. Southern Folk Medicine by Phyllis D. Light. Ms Light is an amazing herbalist, and both weaves the story of the creation of traditional Southern Folk Medicine and explains its use. A great read, and helpful to practitioners. www.MountainRoseHerbs.com This is our first choice for dry herbs, essential oils and teas. www.FrontierCoop.com Another really good source of organic herbs and spices. The Illustrated Encyclopedia of Essential Oils by Julia Lawless. An old book but beautiful and filled with lots of good information about different oils. Limited information on how to make blends. The Pocket Guide to Aromatherapy by Kathi Keville. Less detail about individual herbs but good “formulas”. The Wisdom of Menopause by Christiane Northrup, MD. A classic. The Hormone Cure by Sara Gottfried, MD. Good, solid, common sense suggestions. Menopausal Years the Wise Woman Way by Susun Weed. Another classic. Filled with good advice. Botanical Medicine for Women’s Health by Aviva Romm, MD. Dr Romm was an herbalist and midwife prior to medical school, and her knowledge is vast. This a book we use as a reference often. Womens Bodies, Womens Wisdom by Christiane Northrup, MD. A classic. Our Bodies, Ourselves by the Boston Womens Health Book Collective. A classic, revised. Women’s Encyclopedia of Natural Medicine by Tori Hudson, ND. A good book to have on hand. Dr Hudson is brilliant. Integrative Womens Health by Victoria Maizes, MD and Tieraona Low Dog, MD. Another good book to have around. Vibrational Medicine by Richard Gerber, MD. A classic. Energy Medicine by Donna Eden. This has been updated in many different ways, but the original book is still a favorite. Energy Medicine; the Scientific Basis by James Oschman and Candace Pert. In case you want the details! The Field by Lynne McTaggert. Another classic that one should definitely read. Light on Yoga by BKS Iyengar. If you want to know anything about yoga, you must read this book. Light on Pranayama by BKS Iyengar. Ditto. Yoga and the Quest for the True Self. and The Wisdom of Yoga. and The Great Work of Your Life. All by Stephen Cope. Mr Cope is the scholar in residence at Kripalu, where Dr Warner has studied and done workshops. All of these books are enlightening, helpful and inspiring, just like Stephen’s classes. Wheels of Life. and Eastern Body Western Mind. and The Sevenfold Journey. All by Anodea Judith. Each delves into details about the chakra system, with explanations as well as treatment plans for imbalance. Living Your Yoga by Judith Lasater. This is such an inspiring book. Pull it out when you need to shake things up. Insight Yoga by Sarah Powers. One of the first books on yin yoga. The Pure Heart of Yoga by Robert Butera. Bob runs the lovely Yogalife Institute in suburban Philadelphia, and is a friend of Dr Warner’s. This is a great book. Meditation for Your Life by Robert Butera. This is a powerfully practical book describing the hows and whys. Full Catastrophe Living by John Kabat-Zinn. The classic book on mindfulness. Wherever You Go, There You Are by John Kabat-Zinn. You should read this one too! Meditation As Medicine by Dharma Singh Khalsa, MD and Cameron Stauth. This work comes from kundalini yoga and is incredibly helpful and powerful. Meditation for Dummies by Stephan Bodian. A great, practical book. Old, but this information doesn’t change. And another good example of how the “ Dummies” books are usually good! Loving Kindness by Sharon Salzberg. Read this classic! www.Amadell.org This private space in the mountains northwest of Asheville NC was founded by Dr Warner’s friends. The place is magical, and the energy there outstanding. You’re totally off grid. Grain Brain and The Grain Brain Cookbook by David Perlmutter, MD. Dr Perlmutter was one of the first to speak on inflammation and the brain, with grains being a primary source of inflammation in our country. This book spells out how to eat a ketogenic diet correctly (there’s a lot of bad info out on the internet). The recipes in the cookbook are yummy. Always Hungry and Always Delicious by David Ludwig, MD. Dr Ludwig is a long time researcher of fat, and in this book, explains why we develop food cravings when we’re inflamed. His eating plan makes sense and works. The cookbook is helpful, and recipes are tasty. The 10 Day Detox Diet by Mark Hyman, MD. Although this is an unfortunate title, it’s a good book. What he’s really talking about is how to get off the sugar bandwagon. His plan works, so give it a try. The End of Alzheimers by Dale Bredesen, MD. This book describes Dr Bredesen’s protocol to treat and potentially reverse Alzheimers. Great research; the plan is tough but can be very successful. Brain Maker by David Perlmutter, MD. This book brings in the topic improving your gut microbiome in order to help keep your brain healthy. Great research, and a good read. The Sinatra Solution: Metabolic Cardiology by Stephen Sinatra, MD. Dr Sinatra used to be all about statins and stents, then realized he wasn’t getting the kind of results he wanted. So he looked at the research again, and realized the limitations of what he had been taught. Since then, it’s all about nutrition interventions and stress management. This book shows a different approach that works. **these titles are written by my friends and deserve your attention. Hard to categorize them. Enjoy Every Sandwich by Lee Lipsenthal, MD. When Lee was diagnosed with esophageal cancer, we were shocked. But he had always taught to live as if “today is a good day to die” and he finished out his life with that philosophy. This small book describes his journey. The Heart Speaks by Mimi Guarneri, MD. Mimi was also, once upon a time, a “statins and stents” cardiologist. This book describes how her patients taught her otherwise. A great read. Integrative Medicine David Rakel, MD, editor. 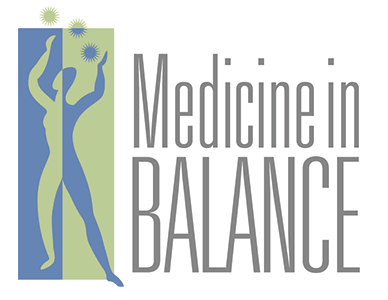 Everything you need to know about integrative medicine, including evidence grading of interventions. Textbook of Functional Medicine. Technically this book is a bit out of date from a treatment standpoint, but the science and philosophy are still valid. If you can find an old copy, it’s worth a look. Medical Herbalism by David Hoffmann. This text is a good reference for botanical medicine and is very thorough. Herbal Medicine, Healing and Cancer by Donnie Yance. Mr Yance is an herbalist who has for many years specialized in treating cancer patients. This book is a good solid footing, though his current work surpasses the basics listed here. Herb, Nutrient and Drug Interactions by Stargrove, Treasure and McKee. Very, very helpful reference text, updated online as well. We use it all the time. Integrative Sexual Health by Barbara Bartlik, Geovanni Espinosa and Janet Mindes. One of the first books to aid in the treatment of sexual dysfunctions and issues from an integrative standpoint. Principles and Practice of Phytotherapy by Simon Mills and Kerry Bone. A classic for botanical medicine. Textbook of Ayurveda by Vasant Lad. This 3 volume tome is as thorough as it gets. Even if you don’t practice Ayurveda yourself, it’s worth having this text in your collection.